While most new Monopoly sets desperately try to keep up with the times—swapping cash for credit cards or using circular boards—here's one which celebrates the past. 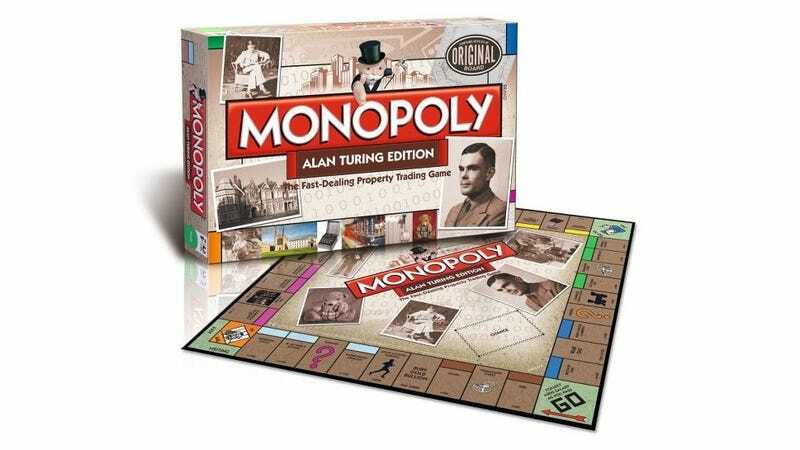 Now you can play the property-trading game while celebrating the life of the father of computer science, Alan Turing. Announced over the weekend by Bletchley Park, where Turing worked during the second world war, the new set is inspired by a hand-drawn board created by the son of Turing's friend Max Newman. The board celebrates Turing's life, with notable properties including Kings College Cambridge, where he studied, and Bletchley Park itself, while utility companies are replaced with devices he used, like the Enigma machine. His face even features on the bank notes.